Two posts in the span of couple of hours was certainly not intended. But, today is the 91st birth anniversary of one of the finest music composers of Indian cinema – Salil Choudhary. What can one say about this immensely talented genius! 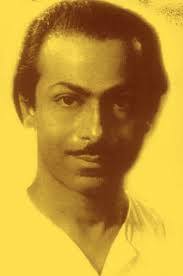 He was a dramatist, writer, scriptwriter, lyricist and musician – composer and arranger par excellence. Known to play several instruments, his repertoire of music includes film songs (in Hindi, Bengali, Malayalam), non-film songs, mass songs and background scores in films, documentaries and serials. There is an amazing website on Salil da – http://www.salilda.com – which is a tribute to this maestro put together by Gautam Chowdhury. It is an archive – that cross indexes and cross references all of Salil da’s works. Do check it out! His songs over the years have given me much joy. Just the other day, I found out (to my surprise) that one of my favourite Tamil songs, Poovannam Pola Nenjum was his composition. His songs seem very easy to sing – but only until one tries singing them. Boy, then do you find out how complex the compositions are! 1) Jangal Mein Mor Nacha (1958, Madhumati): This Bimalda blockbuster was among the first Hindi movies I remember watching. All the songs are wonderful. In particular, I like Zulmi Sang Aankh Ladi (sung beautifully by Lata and picturised on a very beautiful Vyjayanthimala) and this Rafi number picturised on a drunk and Johnny Walker very much (oh listen to the beats and the hiccups!). But since I am a bit more partial to Rafi, this is the song on my list! 2) Chhota Sa Ghar Hoga (1954, Naukri): There is a story about this song. Salil da wanted Hemant Kumar to sing this song. But Kishore Kumar (who was the hero of this movie) apparently begged the director and producer and Salilda to let him sing it! There are then two versions – the happier one sung by Kishore and the sad one by Hemant da. Here is the happy version – the female voice is that of Shaila Belle (according to http://www.salilda.com). 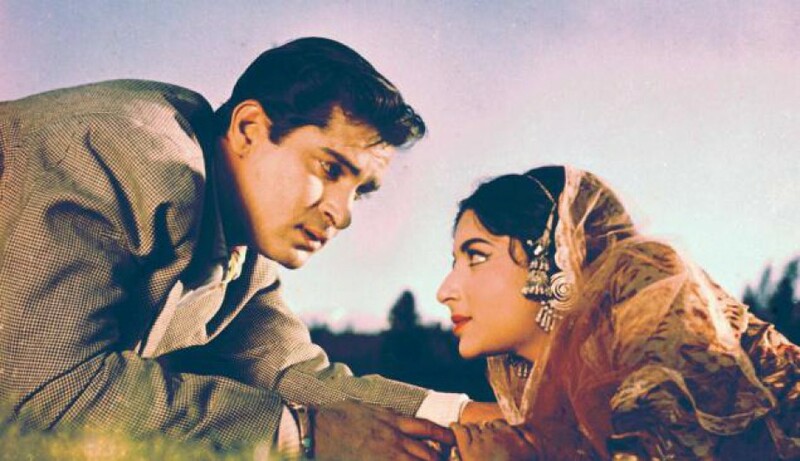 3) Zindagi Khwab Hai (1956, Jagte Raho): Jagte Raho, the 1956 Raj Kapoor-Nargis movie, was a musical masterpiece. All the songs are memorable – be it the Lata bhajan Jaago Mohan Pyare, the boisterous Punjabi Rafi- Balbir number, Oye, Aiwen Duniya Deve Duhai or the soothing Asha solo Thandi Thandi Sawan ki Puhar. But the song of the movie for me is the philosophical Mukesh number picturised on Motilal. 4) O Sajana Barkha Bahar Aayi (1960, Parakh): Parakh was based on a short story of Salilda’s. In fact he was nominated for the Filmfare award for the best story for this movie. The tale is a simple one. The post master of the village gets a cheque for fifty thousand (or was it 5 lakh Rs) and he is asked to give to the most deserving person in the village. Now everyone wants the cheque – and it is decided to hold an election to decide who should get it. Lata Mangeshkar gets to sing some very melodious tunes in this movie – Mila Hai Kisi Ka jhumka or Yeh Bansi Kyun Gaaye… but the song remembered till date is this lilting song. It does capture the rain and the romance – the lyrics, music, singing – simply mesmerising. 5) Aansoo Samajh Ke Kyun Mujhe Gira Diya (1961, Chhaya): Oh boy, another of those films with superb music (and hence the difficulty of which song to pick!). This stars Sunil Dutt and a very pretty Asha Parekh. I watched it ages back and remember liking it – but then I am partial to Mr Dutt! There is the very nice Itna Na Mujh Se tu Pyaar Badha (as a Talat solo and a Talat-Lata duet), the classical Lata solo, Chham Chham Nachat Aayi Bahar, the romantic Talat song, Aankhon Mein Masti Sharab Ki and the hard-hitting Rafi song, Ya Keh De Hum Insaan Nahin, ya maan ja tu Bhagwan Nahin. Here is my favourite song of the movie – Talat’s melodious number – Aansoo Samajh Ke Kyun Mujhe. 6) Yeh Mere Andhere Ujale Na Hote (1962, Prem Patra): Another Bimal Roy movie, starring a handsome Shashi Kapoor and a beautiful Sadhana. While the movie was a bit on the melodramatic side, the songs were very nice. There is this lovely Lata solo, Ab Aur Na Kuch Bhi Yaad Raha, that conveys the sheer joy of falling in love in its simple words and lilting music. And then there is that “rain song”, that melodious Talat- Lata duet, Saawan Ki Raaton Mein Aisa Bhi. Yeh Mere Andhere Ujale Na hote is a lovely Talat – Lata duet – a simple love song. Sadhana in her earlier movies looked very beautiful and she reminded me of Nutan. Shashi looks debonair even while playing a visually challenged guy here. 7) Aha Rimjhim Ke Yeh Pyaare Pyaare Geet liye (1960, Usne Kaha Thha): Another superb Lata-Talat duet, again a rain song, from this rare 1960 movie starring Sunil Dutt and Nanda. I dont know much about music – but this composition simply sounds amazing – the melody and the orchestration. 8) Jaa Re Jaa re Udja Re Pancchi (1961, Maya): Again, one of those films with a mesmerising soundtrack, making it just impossible to pick one song. Rafi (not one of Salilda’s favourites) gets to sing many wonderful numbers. There is my favourite Sanam Tu Chal Diya Rasta (picturised on Agha and a gorgeous Helen) and there is the sweet Koi Sone Ke Dilwala (picturised on a dapper Dev Anand). And then we have the romantic Lata-Rafi duet, Tasveer Teri Dil Mein (just listen to the ups and downs in this number- is not as easy to sing as it sounds – speaks volumes about the singers’ abilities.) Also worth a mention is the sweet dance number Jadu Daale Hai Machal sung by Asha Bhosle. The despondent Aye Dil Kahan Teri Hai Manzil (a tandem song sung by Dwijen Mukherjee and Lata Mangeshkar respectively) is a masterpiece in terms of orchestration and the use of the chorus. The song I picked for this list is the sad Lata solo, Jaa Re Udja Re Panchchi. This was probably the first song that I had heard from this movie, one which made me buy the cassette! It still remains a song I am very fond of..
9) Aye Mere Pyaare Watan (1962, Kabuliwala): I missed this song when I was listing my favourite songs of Manna Dey. But remembered this time. One of Manna Dey’s finest songs, this movie was an adaptation of Tagore’s heart-rending short story. Balraj Sahni played the Kabuliwala in this film that was produced by Bimal Roy. 10) Soundtracks of Anand, Annadata and Rajnigandha: We are already at No. 10 but my list is not complete – by any means! What can one say about Anand (1970)? It was the movie that cemented the position of Rajesh Khanna, the superstar and brought into moviegoer’s attention, the lanky man who was to become the Big B! The songs are mesmerising. Mukesh sings Maine Tere Liye Hi Saath Rang Ke Sapne Chune and Kahin Door Jab Din Dhal Jaye; while Mannada gets to croon the philosophical Zindagi Kaisi Hai Paheli. Lata Mangeshkar gets the sole romantic track of the album and what a beautiful number it is – Na Jiya Jaaye Na. Annadata is a 1972 film directed by Asit Sen (Khamoshi, Anokhi Raat, Mamta) and it starred Anil Dhawan, Jaya Bhaduri and Om Prakash. While I have not watched the movie, I love the songs of this movie. There is the lively Kishore number (a number he apparently struggled to get right! ), Guzar Jaye Din Din. We have the Mukesh gem, Nain Hamare Saanjh Sakhare, and Lata gets to sing two nice solos, the amazing hopeful Raaton Ke Saaye Ghane, and Nis din Nis din. Kishore gets to also croon a fun number with Sabita Chowdhary – O Meri Pran Sajni Champavati . Absolute gems these! Rajnigandha (1974) is an interesting Basu Chatterjee film starring Amol Palekar, Vidya Sinha and Dinesh Thakur. Based on a Hindi short story, it is about a woman who is torn between her ex-boyfriend (Dinesh Thakur, who makes a comeback in her life) and current (Amol Palekar) and whom she decides to marry in the end. The movie has just two songs (as far as I remember) – the amazing Mukesh number Kai Baar Yun Bhi Dekha Hai and the lovely Lata song, Rajnigandha Phool Tumhare. Ok, I am going to cheat again. I am sneaking in a song that I love – Na Jane Kyun is from another Amol Palekar – Vidya Sinha movie, Chhoti Si Baat (1975). An amazing number – beautiful music, singing and lyrics. A short list like this doesn’t do justice to the genius Salil Chaudhary! It is not even the tip of an iceberg. His entire output across various languages and types is so vast that 10 such lists will not be enough! Do check out that extensive resource on Salilda – The World of Salil Chowdhary – to get a glimpse of this genius’s amazing output. This entry was posted in Old Hindi songs and tagged Amitabh Bachchan, Amol Palekar, Asha Bhosle, Ashok Kumar, Balraj Sahni, Bimal Roy, Dev Anand, Jaya Bhaduri, Kishore Kumar, Lata Mangeshkar, Mala Sinha, Manna Dey, Mohd. Rafi, Raj Kapoor, Rajesh Khanna, Sadhana, Salil Choudhary, Shashi Kapoor, Sunil Dutt, Talat Mahmood. Bookmark the permalink. As you know, I no nothing about Old Hindi music but your obvious passion for the subject makes this blog an enjoyable read. Will it surprise you to find that Salil Choudhary is one of my favourite MDs too? I simply love his music, and all the songs you’ve listed are among my favourites too. (As is the music of Anand – what a fabulous score that is). And Na jaane kyon (which by the way, is the song which I first discovered as having been composed by Salilda; I must have been about 7 years old, I think, and we were listening to it when my father told me who composed it). Nope, doesn’t surprise me at all that Salil Choudhary is one of your favourite MDs too 🙂 Na Jaane Kyun is such a lovely song – one of my favourites. But then, so are many other Salil Choudhary numbers – Dharti Kahe Pukaar is wonderful. Left it out on purpose – had listed it in the Manna Dey list!